The hull was built in 1985 at Scheespwerf Pattje in Waterhuizen, Groningen, Holland; the vessel was to be a deep sea trawler, based on plans produced by F.A. Consultant, Castricum, Holland. Seismograph purchased the hull in 1986 and had it fitted out in Norway as a seismic research vessel for use in offshore gas and oil exploration. On completion the vessel was named Seis Venturer. Refitted in Den Helder, Holland and sold in 2001 to Thales GeoSolutions and renamed Thales Venturer. A refit was carried out initially at the Laksevåg shipyard, Bergen with the work being completed in Hull. 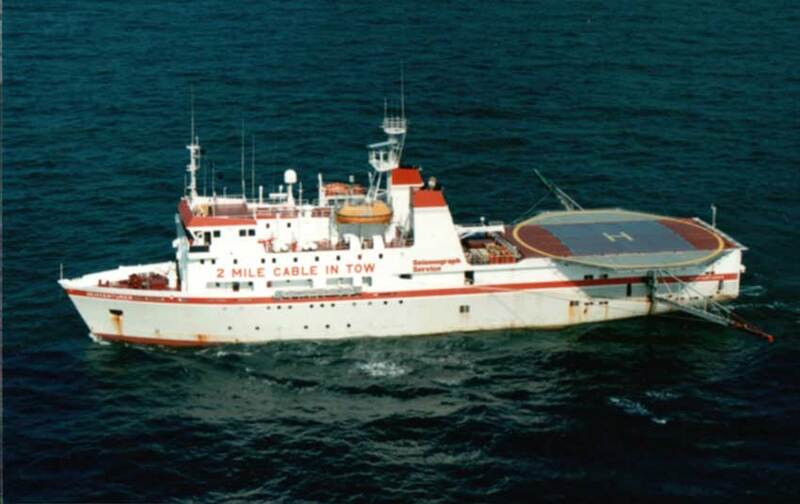 It was intended to fit the ship out for cable survey work but the downturn in cable installation resulted in its being fitted out for seismic survey instead. Sold in 2003 to Rieber Shipping ASA and renamed Polar Venturer. Acquired by the CGG Group in 2006 and renamed CGG Venturer and is operated by GC Rieber Shipping ASA. Thanks to Arend van Ikelen (Holland) and Bob Dewar for providing additional information on the history of the ship.